There is every reason for the Nintendo Wii lovers to get enthralled with a new, updated and an accurate game controller add-on announced by Nintendo yesterday. This is an unparalled controller which turns the standard, run of the mill, Wii remote in to a more accurate motion-sensing device. The announcement came as a surprise as Microsoft and Sony have already been making big announcements at E3 for months, and no one expected that Nintendo too had something up their sleeve indeed! Moving on with Wii Motionless the game controller maps the players hand movements in 3D space, a notable improvement to the present Wii infra-red motion sensing technology which has been in criticism from many gamers since the launch of the Wii console. 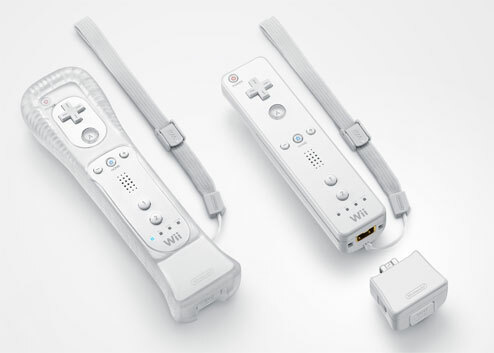 The peripheral connects to the end of the Wiimote which is a good thing and certainly a clever move from Nintendo, who will of course play the PR game of not overtly claiming that the original Wii Remote’s infra-red tech was in any way problematic.